I tried my idea on this grey triangular shawl that’s been languishing for a while. All I did was work a stitch pattern which divided nicely into my stitch count (253). 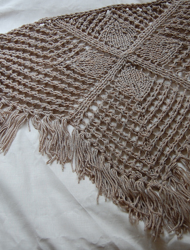 I stopped the regular shawl increases, so the border has straight sides, and a rounded tip (fig.1). Usually the 4 increases every 2 rows would be maintained into the border, so the shape of the shawl wouldn’t change (fig.2). It’s difficult to predict how this method would look with different stitch patterns, but I really like the way it looks on this shawl. The tip definitely needs to be blocked to look good though, and I don’t know whether some of the larger shawl shapes would stretch the border out too much at the corners. What do you think? Do you like the effect? ROW 1: K1, *yo, k2tog, rep. from * to end. ROW 3: *Ssk, yo, rep. from * to last st, k1. 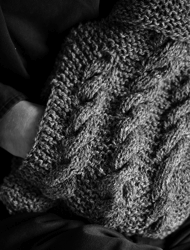 An alternative would be to place stitch markers at the beginning and end of “blocks” of pattern repeats, to keep them separate from the shawl increases. Each time a pattern repeat was completed, if there were enough stitches for another repeat, the stitch markers would be moved along. 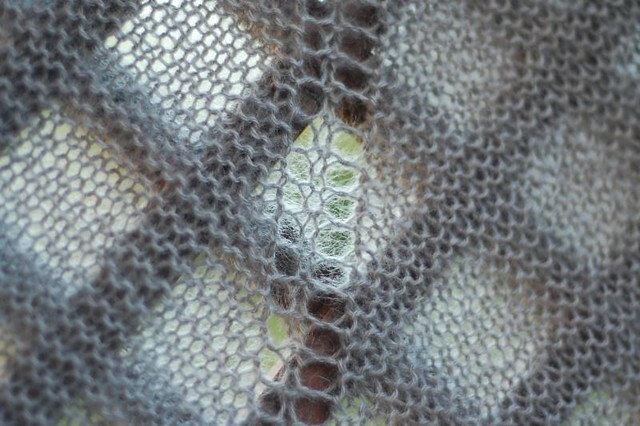 In fact, if I wrote up a “cheat” like this, it could be used to fill in any shawl shape with a stitch pattern. Of course, there would be zig-zags of white space around the stitch pattern, but that isn’t unusual, though I do find the square border above rather more pleasing. 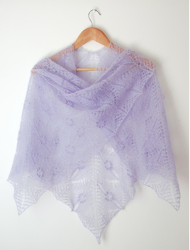 Please let me know what you think, shawl knitters! 4th July, 2011 // Technique // tags: lace, shawl. It’s beautiful!! thanks for such great notes on how the border was achieved, it really does look lovely. Thank you for all the great information and patterns. I am new to your website and love it. 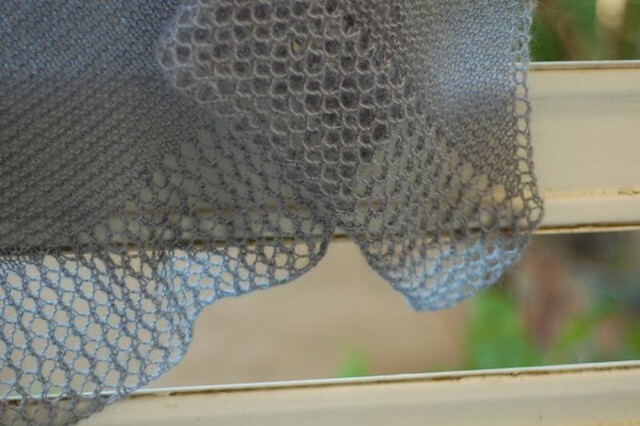 I have made three shawls using your “cheat sheet” – I made one in stockinette stitch and ended with several rows of seed stitch. Another I made in garter stitch and ended with a picot bind off. The third, I crocheted the bind off. I am definitely going to try your lacy border on the next one – beautiful. I never could have come up with it on my own. Thank you. I love your photography and your sweet, gentle nature. How refreshing! Thank you for your thoughtful words, Carla. 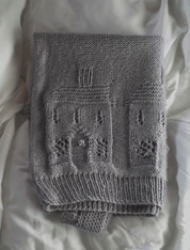 It’s lovely knitters like you who I think of when I’m creating new posts and patterns. 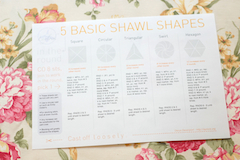 I was excited to find your Shawl Shape Cheat Sheet (I found it after Happy Knits tweeted about it). I am so happy you have added this post to it. I’ve wanted to design my own shawl, but I find the idea of adding the border so intimidating. I’m sure it’s a matter of math, but I don’t know WHAT the math is, so I can’t conceive of doing it just yet. Anyway, I very much like the look of this shawl, including the border. 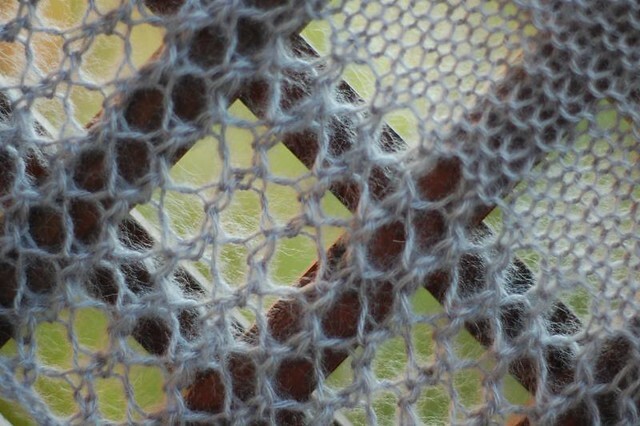 I didn’t quite understand what you meant regarding the “zig-zags of white space around the stitch pattern” when you were discussing adding a border while continuing shawl increases. Does this mean one would just do stockinette (or garter, or whatever) on the increased stitches until such time as enough new, increased stitches were made to do an additional repeat of the border pattern? Is it really *that* simple? Again, thank you. 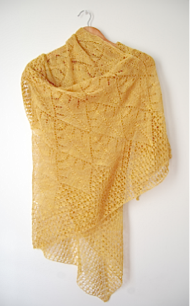 The pictured shawl is beautiful. Do you mind sharing which yarn you used? Yes, that’s exactly it! Sometimes those “empty” spaces will blend right into the pattern, and you’ll hardly be able to notice it (for example, feather & fan is fairly subtle), other times they will be quite obvious. The latter case is where the designer can use their artistry to fill the space with a smaller pattern, or half of the original pattern, or something else that creates a nice transition. The yarn I used isn’t terribly inspiring, I’m afraid. It’s a Turkish mohair/acrylic blend from a brand called Alize. I should also warn that this stitch pattern has a slight tendency to curl, so it needs to be blocked. This is just beautiful! I wish I knew how to k it more advanced stuff. Ill get there and this will the first thing I make. Just started knitting a few months ago. AWESOME! This works so well with the cheat sheet!!! :) Thanks so much! Many, many thanks for making the cheat sheet available. I am really enjoying using it. Thanks so much for the shawl cheat sheet and for your other aids in designing shawls. 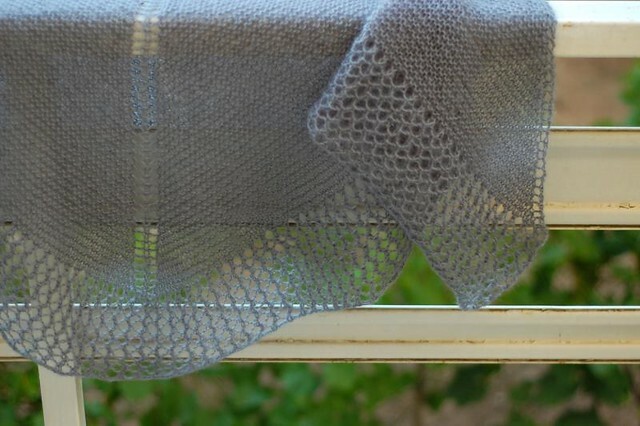 I love the beauty and simplicity of this border on your grey shawl. 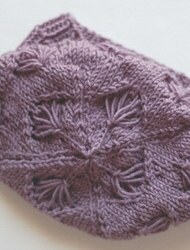 Came across this easy shawl border while looking for a solution to a knitting problem. Making a lace rectangular shawl with a mohair blend yarn. Beautiful pattern, but it’s beginning to look like the finished shawl would be a bit skinny for my liking. 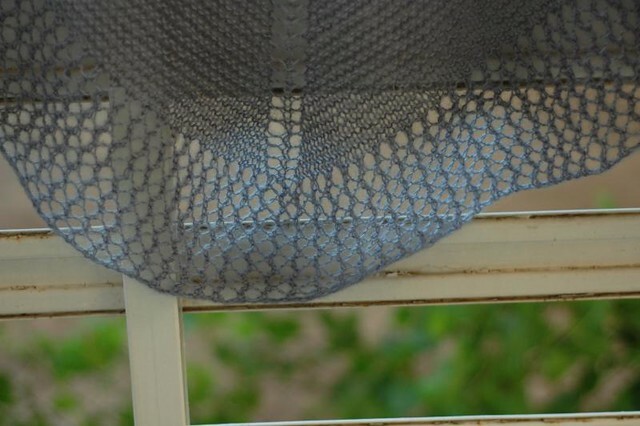 Your easy shawl border looks like a good fit with the pattern of the shawl. Now I’ll just have to anticipate picking up the stitches on the long edges to complete the border. 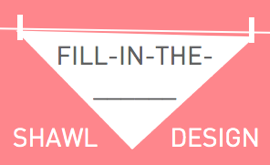 The best part about your pattern it that it can be made as wide as the designer desires! Hi! 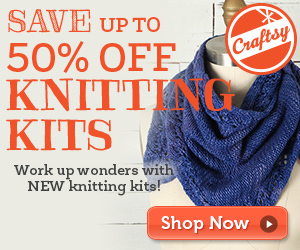 What bind off did you use? I was reading that it is important to make a stretchy choice for the edges of lace shawls. Thanks so much for your helpful research! I am loving learning from you! 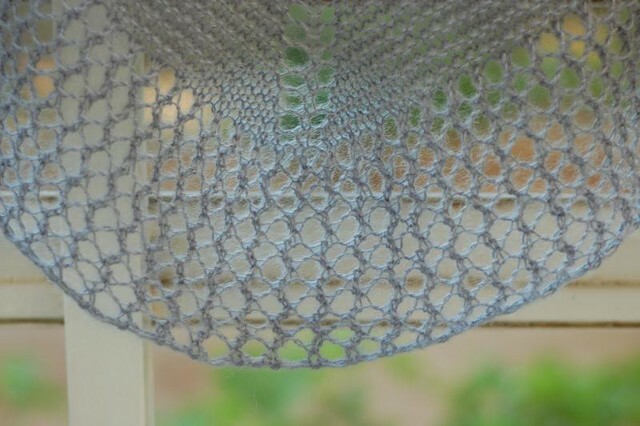 I added your lace edging to a recent shawl, and I also used a nice lace panel in the middle tip with a few increases first, so that the tip would sit well. I like the effect! I just ran across your site and boy am I happy & excited, delighted and more. 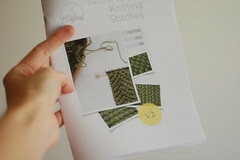 I cannot wait to knit a shawl fom your cheat sheets. Keep the good work up. By the way any cheat sheets for crocheted lace afghans? 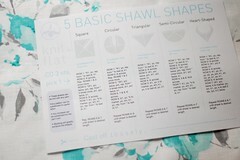 Love the idea for shawl cheat sheets is really great. I LOVE your tutorials and website! I am a beginner knitter, just finished my first shawl for a prayer shawl ministry at church. I wanted to make a triangle shawl for myself and wanted to do it with a border. LOVE IT and can’t wait get busy. THANK YOU!! !